Back in the days before TV and air conditioning lured people indoors, Americans often hung out on front porches, enjoying the fresh air and socializing with neighbors. In later decades, when they wanted to relax outside, people tended to do it in the backyard, away from noise and traffic. But according to the National Association of Home Builders, the front porch is coming back. On renovation projects, the association says, adding or enclosing a porch is among the most common requests. 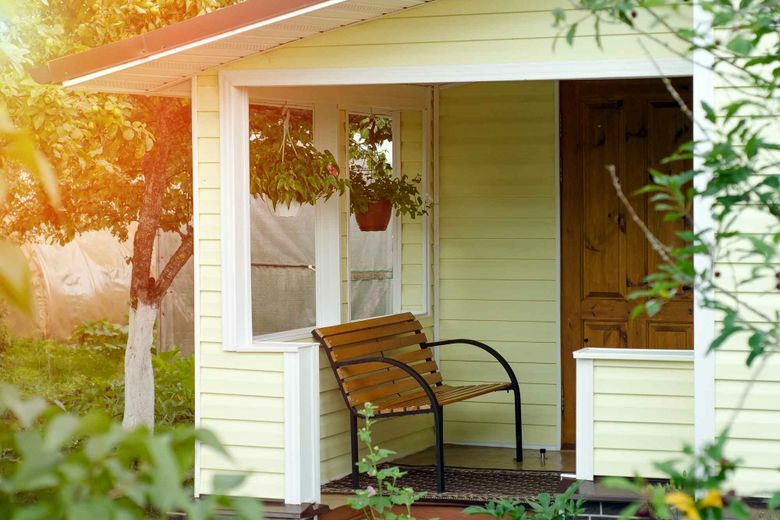 In a 2016 survey, the group found that front porches were included in about 65 percent of new home builds, up from about 40 percent 20 years earlier. So what are some décor options for this small but social spot? “Comfortable seating is an important part of any front porch,” says Jenny Reimold of the Nashville, Tennessee-based design firm Whim & Willow, and a style expert for the retailer HomeGoods. She suggests a traditional outdoor bench or classic Adirondack chairs in a fun color like teal. A rug is also a good way to bring more pattern and color to the porch, when you may not have much room for decorative elements. No matter how much space you’ve got to work with, try to coordinate front-porch décor with your interiors for a cohesive look indoors and out. Retailers are offering lots of options. For example, if your style is contemporary, Target ‘s neutral-hued Project 62 abstract outdoor rugs, lumbar pillows, club chairs and string lights would blend nicely. The new line, which includes indoor décor, was inspired by Target’s year of inception, 1962. 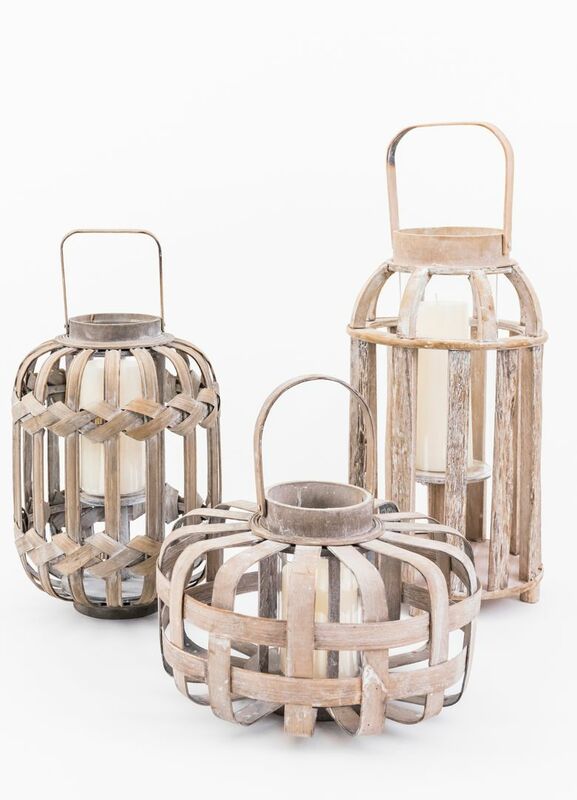 Also at Target, the rustic farmhouse vibe, currently popular indoors, can be brought to the porch. Galvanized steel pots can hold real or faux greenery. Smith & Hawken’s Montpelier collection provides deep, comfy Sunbrella cushions in chunky, whitewashed, eucalyptus-wood frames. Or for narrower porches, Opalhouse’s outdoor wicker chairs may be worth a look. Those who live near water might like the crisp coastal vibe of all-weather wicker seating in creamy white with blue cushions, tied in with starfish, stripe or lattice patterned outdoor rug, and navy ceramic planters. And for boho décor fans, there are patterned terracotta planters, folk-arty floral rugs, fruity-hued and fringed toss pillows, and woven furniture. 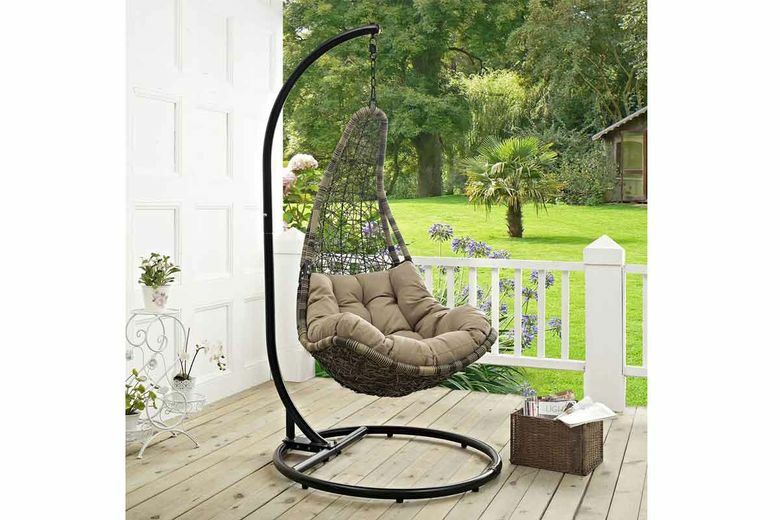 Want a swinging seat, but don’t have a beam to hang it from? Consider Casaza’s free-standing swing chair, with a sturdy powder-coated frame holding an all-weather rattan seat with a plush cushion. Also here, a selection of ceramic or cement stools with unusual painted or textured finishes. 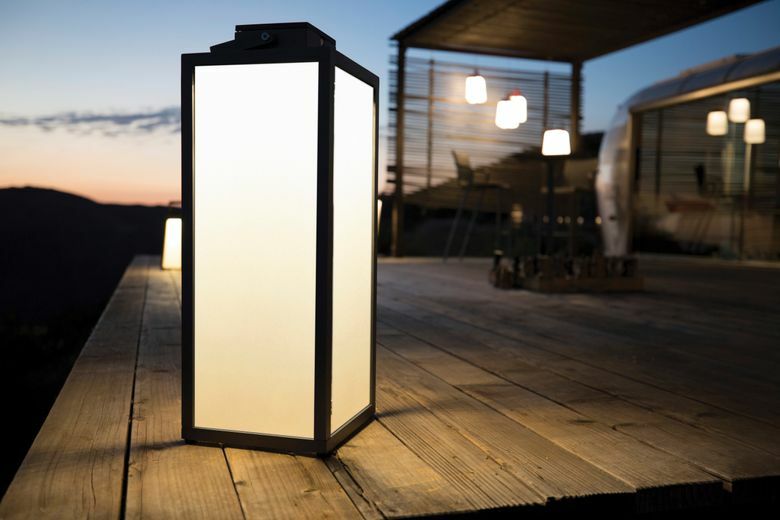 If you have no electrical outlet handy, you can still illuminate your front-porch seating area with battery-powered or solar lighting. 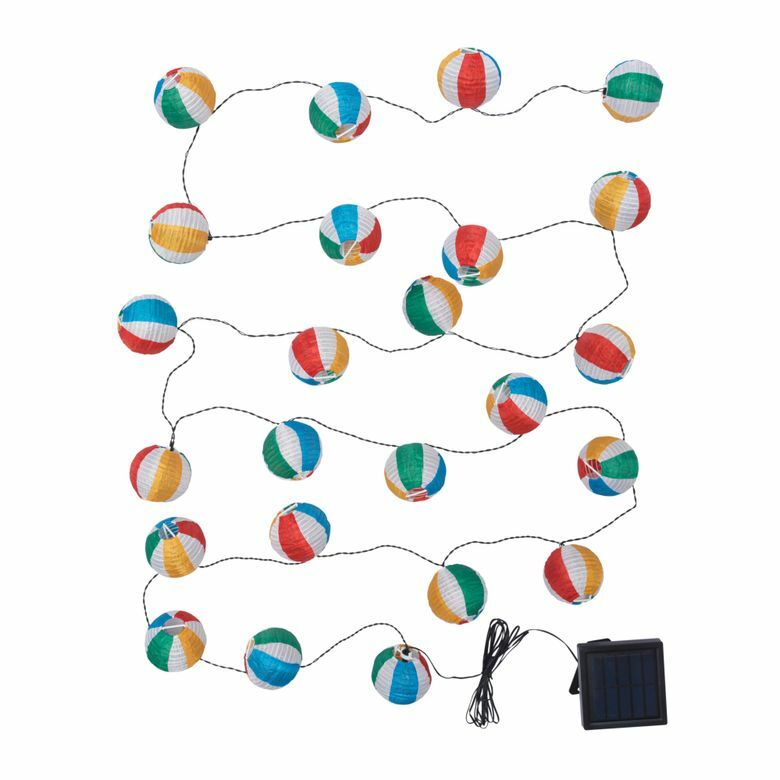 IKEA’s new Solvinden solar collection includes string lights as well as table and floor lights, with beachy stripe or polka-dot patterns. You’ll find whitewashed wood ones at HomeGoods, and Wayfair has a broad range of metal, ceramic or wood options. Use battery-operated pillar candles that can be tapped on and off with a remote control, for safety and convenience. Terrain’s Wildfire pillar offers a realistic flickering flame, and can be handily recharged with a USB cord.